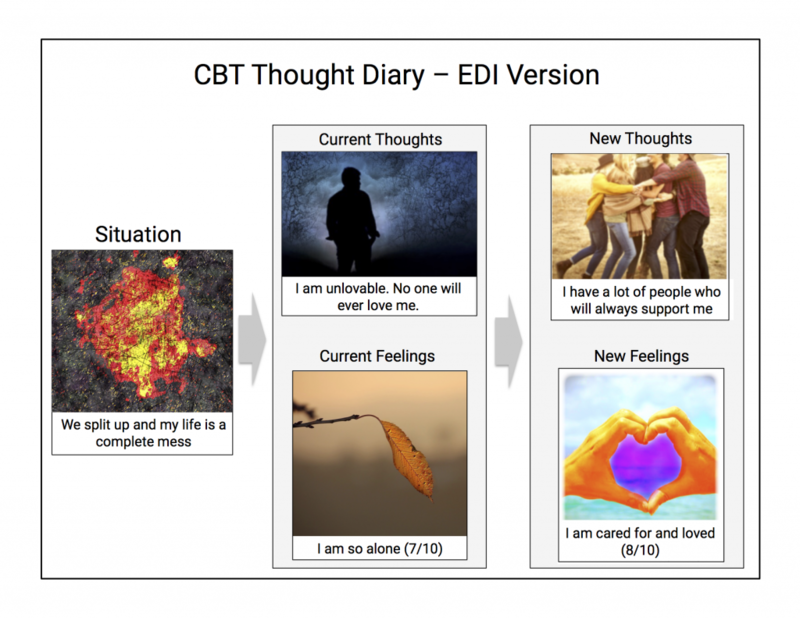 This is an example of the use of EDI with CBT in the creation of a typical CBT “Thought Journal.” In this EDI version, images are used to express a personal situation, the unhealthy thoughts/feelings that can result, and the “alternative” thoughts/feelings based on clinical intervention. This can be compared with a traditional text-based thought journal also depicted here. The EDI Institute plans to conduct scientific research comparing text-based vs. EDI-based CBT, with an emphasis on understanding the clinical impact on long-term outcomes.